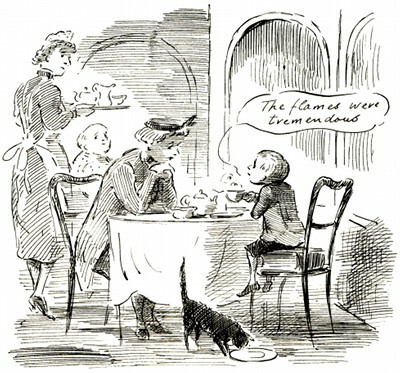 Another drawing by Ardizzone, this from his 1957 Tim All Alone. Having found his mother at last, “Tim told her all about his adventures” (p43). The flames were tremendous (p43).